By using algae instead of standard foam, producing these shoes helps the environment. A bucket of pond water might not seem like a performance enhancer. 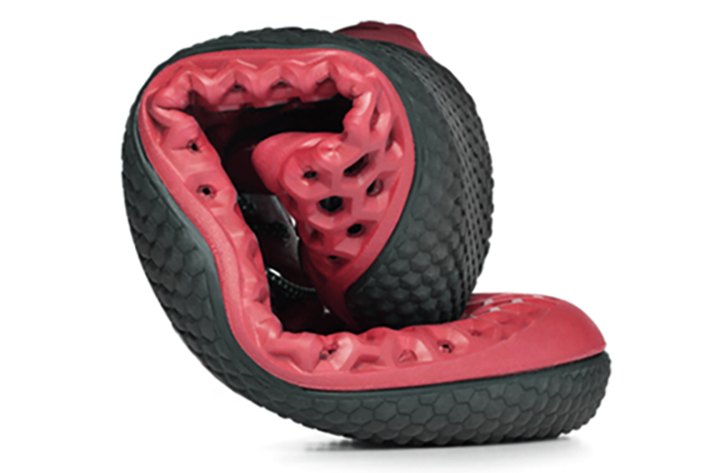 But that could change this year with VIVOBAREFOOT’s latest shoe. 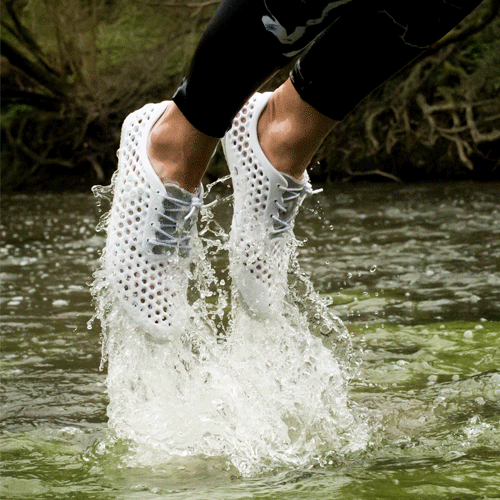 The VIVOBAREFOOT x Bloom running shoes will be the first made entirely of algae-EVA foam. They offer an alternative to the petroleum-based foam that’s found in almost every other running shoe on the market. U.S.-based bio-material producer Bloom culls algae from freshwater sources like lakes, rivers, and ponds around the world. The brand then mixes it with EVA (ethylene vinyl acetate) to make a pliable, cushiony material. The Bloom shoes only use feedstock algae, meaning it’s appropriate for industrial use, but not fit for consumption. And harvesting the algae helps clean waterways that are at high risk for algal bloom. The runners will be the next offering in VIVOBAREFOOT’s Ultra line. The current Ultra 3 shoes run $75, weigh 150 grams, and are vegan (made without any animal products). Thanks to less impactive production techniques, Bloom saves “about 40 balloons worth” of carbon dioxide from going into the atmosphere, for each size 11.5 pair of the runners. 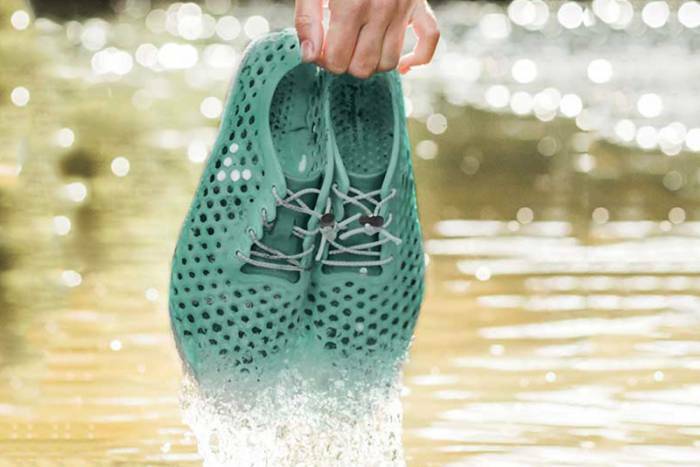 The brands claim that not only will the shoes reduce the environmental impact in manufacturing, but harvesting the algae to make “Bloom foam” will actually clean waterways around the world. When Bloom harvests algae, it cleans and recirculates 57 gallons of water into natural waterways for each pair. Algae can be problematic in areas where it is not native. It blocks sunlight from penetrating the water’s surface and it depletes oxygen in marine ecosystems. The Ultra-algae runners will launch in July and, based on early images, look very similar to the current Ultras.